The kitchen space is perhaps the most happening place in a home. It is a place where you not only cook and clean but also eat, drink and at times socialise. As it is an important part of our home sweet home, it has to be both beautiful as well as functional. And when it comes to the functionality of a kitchen, its layout has to be designed to perfection. There are some common mistakes that most people make while planning its layout and then end up regretting their choices. Irrespective of whether you are lacking space or planning it deliberately that way, a kitchen triangle is never a good idea. This is mainly because parts of the kitchen experience maximum activity which is why it should have enough space to stand and work around easily. 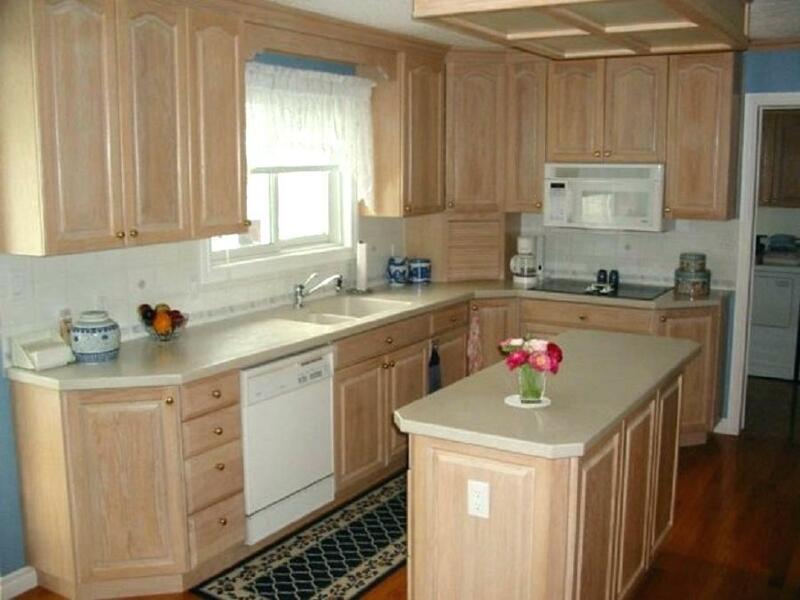 Such parts include the sink, refrigerator, countertop, stove and kitchen islands. Since a sink requires plumbing and pipeline near it, it is usually placed in a poor location making it difficult to access. So make sure you are not making this mistake and accommodate your sink at a functional place where you can move around easily. Also, make sure that the overall area of the kitchen is not too less and not too much. Small area will obviously will create a problem for you and washing dishes in the sink in too big a space will make your cooking process too tiring and tasking. Imagine yourself working in a kitchen where you don’t have sufficient space to cook a meal and access the required appliances nearby. Isn’t it terrible? A countertop is a place that simplifies most of the activities of a kitchen and therefore should be big enough to place all the necessary equipments easily. So add as much horizontal space to your countertop as you can while designing the layout. An L-shaped kitchen or an addition of breakfast bar can help you get more space for your countertop. You can’t afford to have insufficient lighting in the kitchen where you need to work irrespective of the time. Moreover, when it comes to lighting, it has loads to do with your safety. Using knives and other sharp tools in poor lighting can end up giving you a cut on your hands. So, to maintain the functionality and beauty of the kitchen, there should be two types of lighting – firstly, a general lighting for overall illumination especially above the mostly used spaces like fridge, sink and countertop. Secondly, designer lights like a designer pendant or chain of small pendants light to enhance the look and appearance of the space. You can install them above the kitchen island or breakfast bar. A perfectly designed kitchen is always free from noxious odours. So, proper ventilation is one of the qualities of a good kitchen layout. After all, you would not like to make your guest inhale the smell of last night’s fish and chips lingering in your home. For that, we advise you to not install inexpensive and cheap quality hoods in your kitchen as they circulate stale air in the entire room and leave you to deal with the smell of last night’s food. On the contrary, a good ventilation system will not only maintain the quality of the indoor air but also keep your kitchen healthy and clean. You would be surprised to know that the air in the kitchen contributes to the life of your kitchen appliances. It will make the hours spent in the kitchen pleasant and keep the entire home fresh. People often take this factor for granted while designing their kitchen layout. A perfectly designed kitchen should have well-maintained temperature within along with proper ventilation. So make sure that you are installing designer radiators indoors so as to regulate the temperature as well as the aesthetic appearance of the space. We bet, avoiding these mistakes will account for a time well spent in the kitchen. You will love your kitchen space even more as it will enhance the appeal of the space considerably. Now, once you have the perfect kitchen space, you can start focusing on bringing other exciting areas of your home to life. Whether it’s creating a spa inspired bathroom or getting a beautiful loft conversion in Essex.